Thanks, Loretta. I'll put your name on the list. Thanks, Dee, for having me on your blog. This is so much fun! As close as I am to Vonnie, I learned a little bit more about her this morning:) Her book is beautifully written and a joy to read. I highly recommend it! What a wonderful setting for what sounds like an educational and inspiring book! 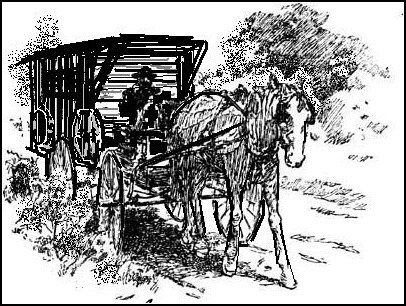 Who also doesn't love a wagon coming down the street that sounds like a one-man band! How wide-eyed I would be! Also nice to know more about Vonnie...I met her so very briefly once. Blessings! Fantastic post, Dee! I'm almost done reading this delightful book and I love the way lessons of faith, friendship, and forgiveness are woven throughout in such a natural way. 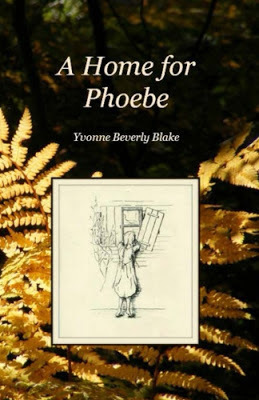 A Home for Phoebe is an awesome read! Smile . . . Thank you all for your encouragement. Thank you to all the commenters. I love Phoebe as a character and think she is wonderful! I already bought an autographed copy for our daughter (I hope to read it later, myself). She was given the fantastic opportunity to read the book when it was a work in progress and was really excited to finally see the finished product :) She really enjoyed it! Isn't this blog tour fun? Thanks for all the comments. I'm still smiling thinking about Nancy reading "one more chapter."